bleibt die Generalkonsulat der Republik Serbien in Salzburg für den Publikumsverkehr geschlossen. 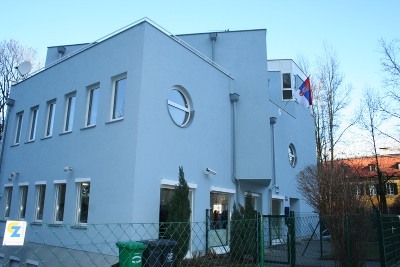 Тhe Government of the Republic of Serbia, at its meeting on 25 October 2018, adopted a decision to abolish visa requirements for nationals of Antigua and Barbuda, Grenada, Commonwealth of Dominica and Trinidad and Tobago, holders of all types of passports, allowing them to enter, transit through and stay in the territory of the Republic of Serbia for a period not exceeding ninety (90) days from the date of their entry into the Republic of Serbia during a period of one hundred and eighty (180) days, unless there are impediments referred to in Article 15 of the Law on Foreigners. The decision was published in the Official Gazette of the Republic of Serbia No. 81/2018 of 26 October 2018 and came into force on the date of its publication for nationals of Antigua and Barbuda, Grenada and the Commonwealth of Dominica. For nationals of Trinidad and Tobago the decision took effect on 3 November 2018. Nationals of the above-mentioned states, all passport type holders, wishing to enter and stay in the territory of the Republic of Serbia for a period exceeding 90 days or to study, reside, take up employment or engage in a media activity or any other activity are required to apply for a visa prior to entering the territory of the Republic of Serbia.